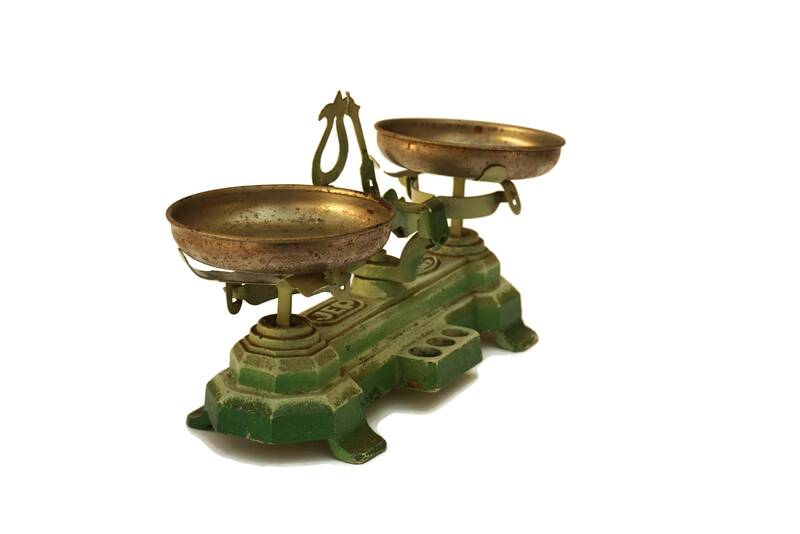 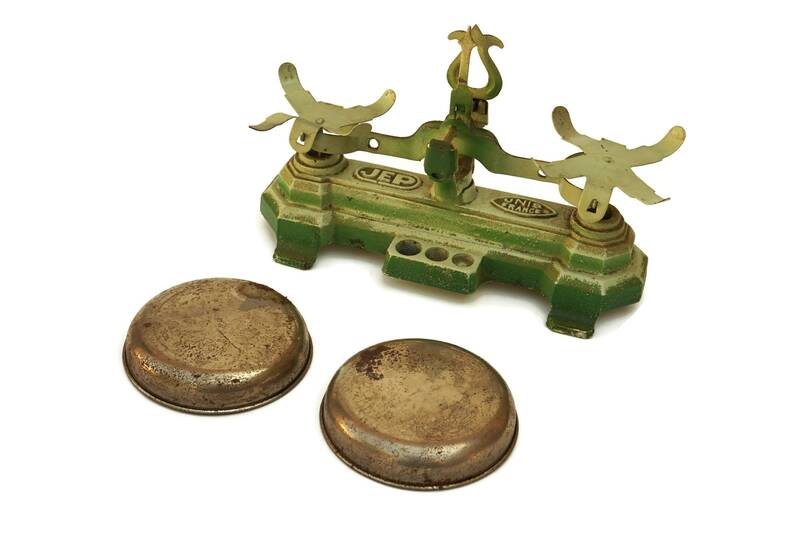 A charming set of antique toy cast iron scales made in France in the early 1900's. 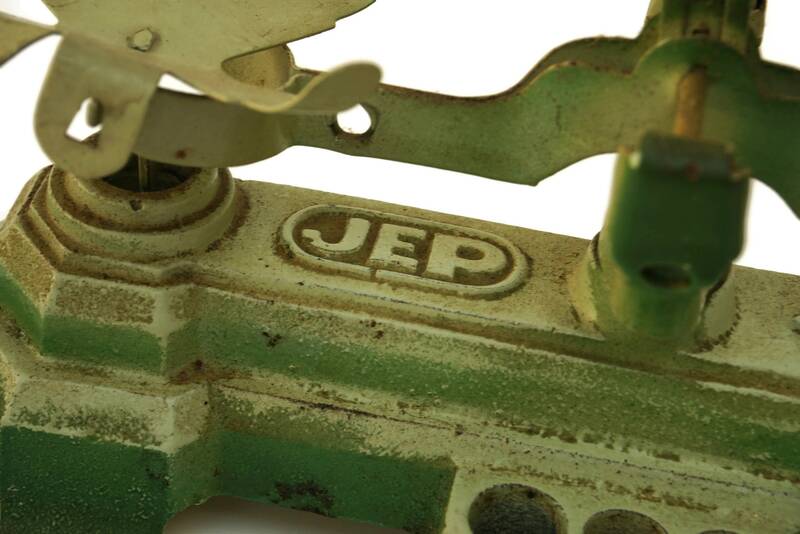 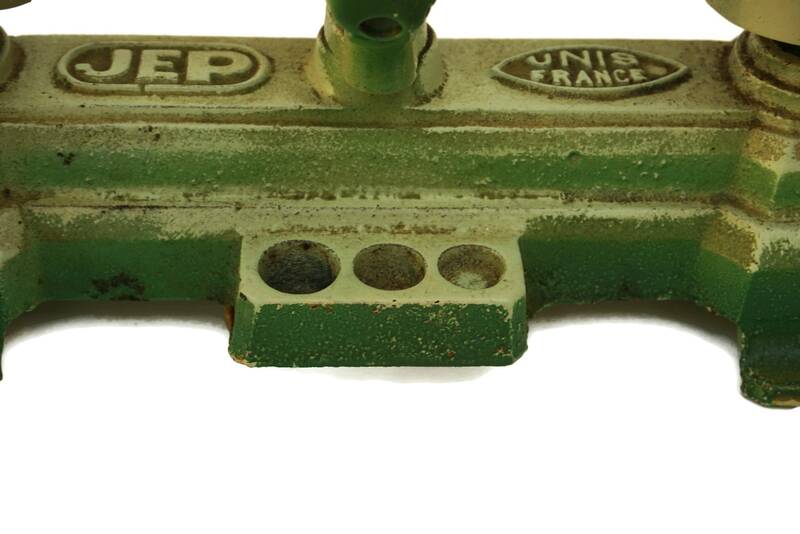 The French scale has been cast from iron and features the maker's mark JEP UNIS. 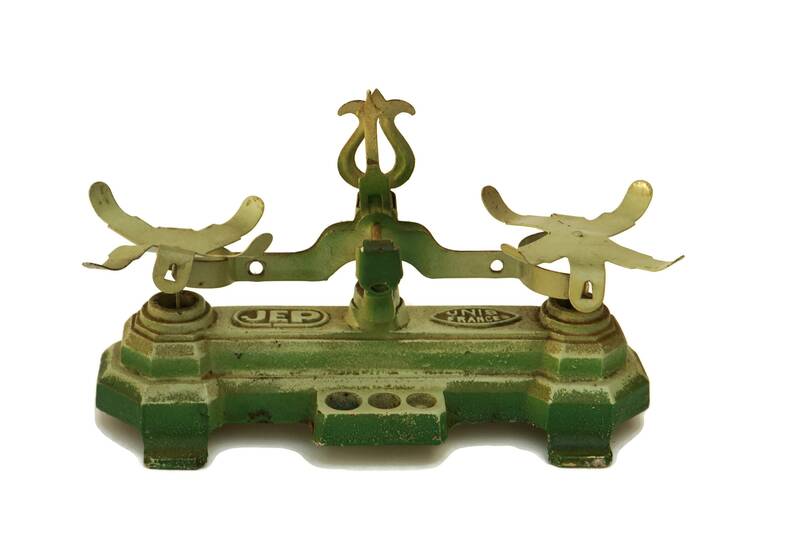 It has been decorated in shades of green and features its 2 original tin pans. 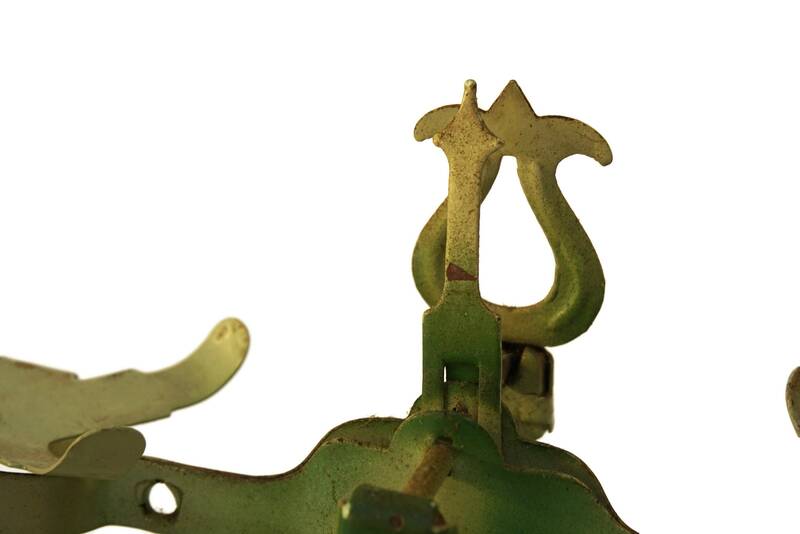 (18 cm x 11 cm). 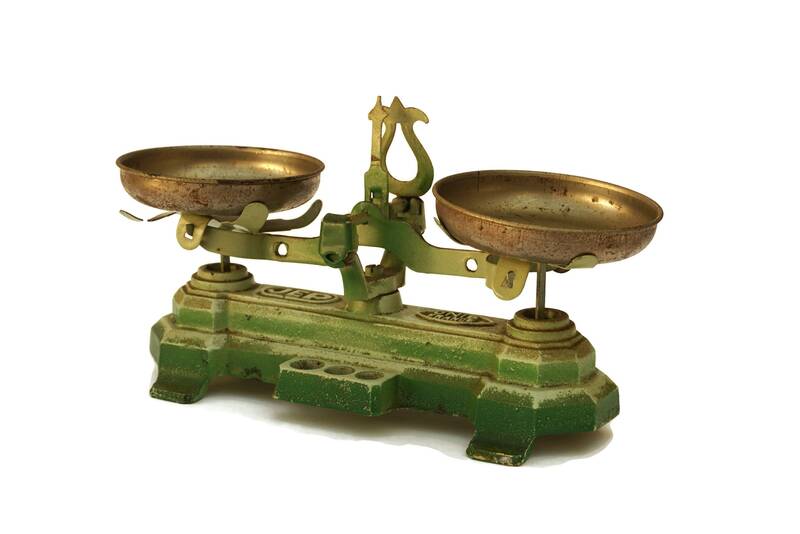 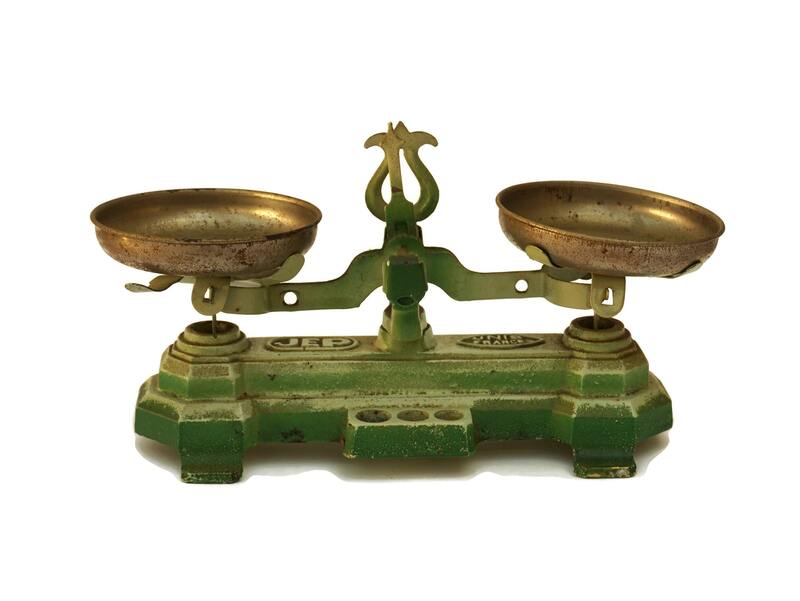 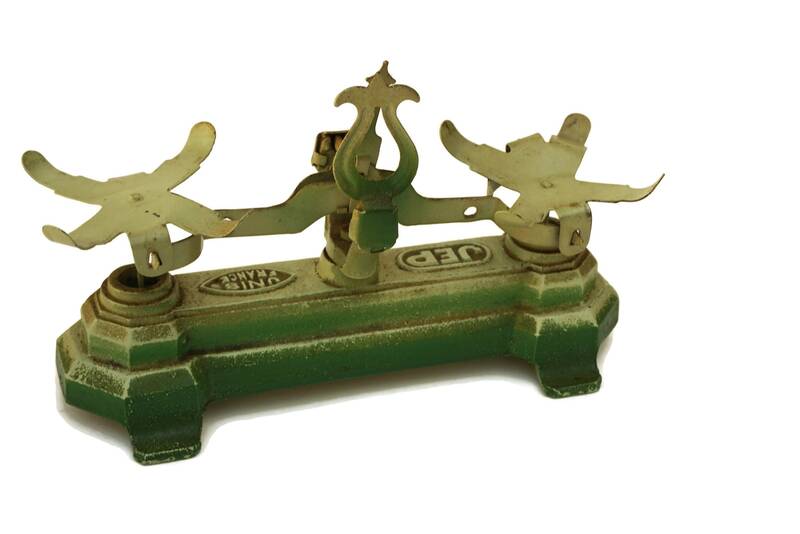 The cast iron toy scales are in good used condition and in working order. 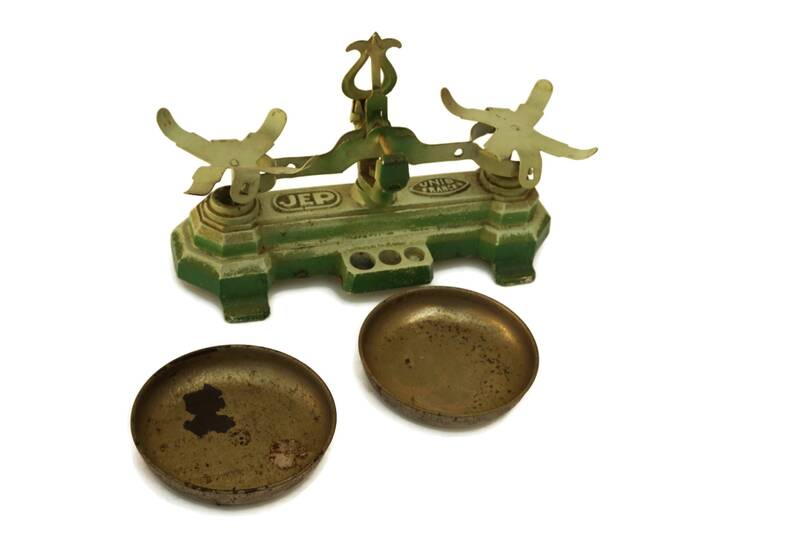 There are surface marks, scratches, patina and light knocks and wear to the scale and pans.